About Tong-HongTong-Hong Enterprise Co., Ltd. (Tong-Hong), established in 1982 and duly registered with the Taiwan Ministry of Economic Affairs and Taoyuan County Government, is a legally licensed enterprise in Taiwan. With nearly thirty years of experience in the comprehensive tools and hardware industries, Tong Hong strives for continuous improvement on quality and service. The company mission is to provide trust and confidence to customers in meeting their purchasing demands through efficiency and high quality product, complemented by professionalism and courtesy service. Tong-Hong warmly welcomes you to become a member of its client family. Tong Hong offers a consignment program to corporate, military, dealers, and end users (individuals). With nearly 30 years of experience to its credit, Tong-Hong has established itself as a credible supplier by offering a wide range of quality and reliable machinery, hardware, and industrial tools in the market today. Tong-Hong also imports machinery products from reliable brands in US, Europe, and Japan. 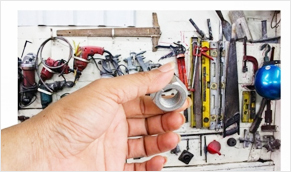 Products include various hand tools, pneumatic tools, decorative building materials, pump & vacuum equipment, fasteners, locks, and industrial equipment & components etc. Tong-Hong has earned an outstanding reputation for quality, service and integrity. Tong-Hong seeks to build long-term relationships with the customers and offers wide array of products and service options to meet all of your machinery needs. Copyright © 2013 Tong-Hong Eonterprise Co., Ltd. All Rights Reserved.